It seems natural to start with the end of Winter, a perfect time to play outside! As those of you fellow Yankees know, early March can bring us some serious weather slaps in the form of BIG SNOW, while when the sun emerges, it is higher in the sky and brings on that magical warmth that’s been missing for a while. As you consider these dates, remember my last blog detailing Maine Restaurant Week, 3/1 – 3/12! So we open our offerings with a pair of outdoor weekend events to stir the souls of you adventurers. 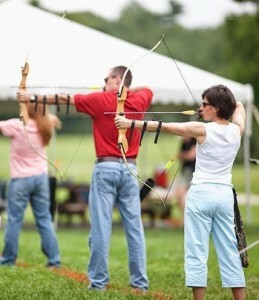 On the weekend of March 5th/ 6th, we offer two local unique sorts of outdoor events that beg for your participation. 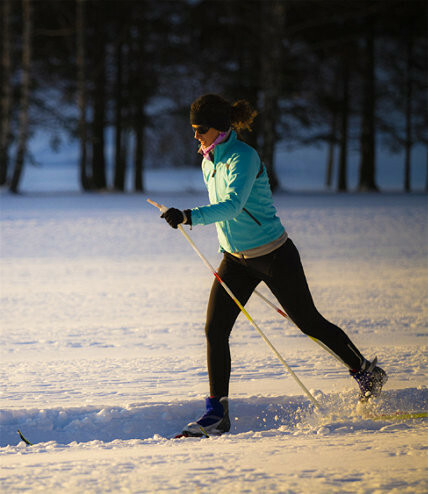 The first on March 5th is an evening ski with the folks at the LL Bean Outdoor Adventure School that is a 6 – 9PM cross country ski tour. March 8th is a “new moon,” so the view of the Milky Way and planets should be magnificent! 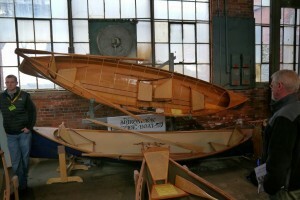 For details, check out http://www.llbean.com/llb/event/88012?occurrenceId=60054&locationId=515&feat=33-ods. $40 is the cost to play, and will take place on their own groomed trails a few miles east of Freeport, as well as hot chocolate and snacks at the event. On Sunday 3/6, is the final event in the Bradbury Mountain Snowshoe Series, “The Bradbury Blizzard.” http://trailmonsterrunning.com/bradburysnow They will offer 3 levels of competitive courses around and up the mountain in this State Park 8 miles from our door. 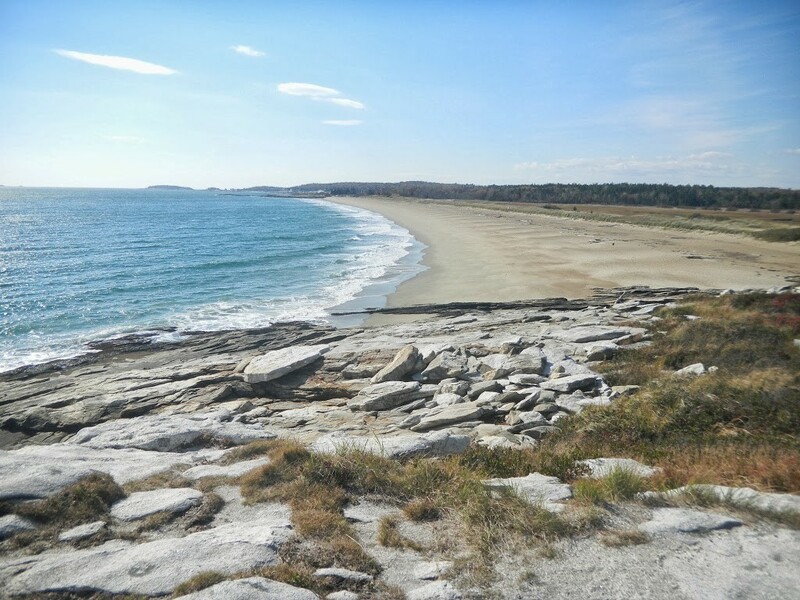 By the way, the view from the top reaches all of the way to Casco Bay. If you’re looking for something different and fun to do around Freeport this Winter, try one of these five Freeport area winter blasts! I know, I know, our Winter has been a little slow kicking in, but if you remember the timing of last year’s Winter, it wasn’t much different. By mid-January, it had kicked in in a BIG WAY! The POLAR VORTEX is moving in! How about a biathlon? A BIATHLON is a competitive endurance event combining cross-country skiing with target shooting. For $25, this event in Jefferson, Maine (1/2 hour east) is open to all, even beginners, including the opportunity to borrow an air rifle and receive instruction before heading out. In the best tradition of Maine events, beer and hot toddies are available! By the way, Pineland Farms, 15 minutes from Brewster House is the practice ground for the US Biathlon Team! In the summer, Bradbury Mountain State Park hosts competitive Mountain Bike and running events, but in the winter turns to their SNOWSHOE Series. http://trailmonsterrunning.com/bradburysnow About 8 miles west of us in Pownal, these events are offered on 1/24, 2/14 and 3/6. These races range from 3 to 5 miles long. Although they have a few pair of snowshoes to loan, it would seem that if you’re up to racing, you would likely have your own (they’re on a 50% off sale as I speak @ LL Bean). I’ve written about this before, but it’s so fun and Mainely unique, it’s worth a visit! 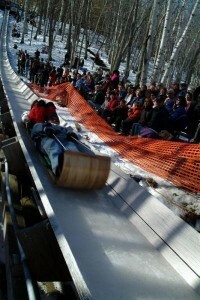 It’s sort of a Mardi Gras built on the US NATIONAL TOBOGGAN CHAMPIONSHIPS at Camden Snow Bowl from Feb. 5-7. http://www.camdensnowbowl.com/toboggan-championships/ For $30, you can compete on your 2, 3 or 4 person toboggan, by taking your waxed up toboggan down the 400’ iced wooden chute and across the frozen pond at it’s base. Most teams are in costume, and the eats and drinks are a large part of this annual show. 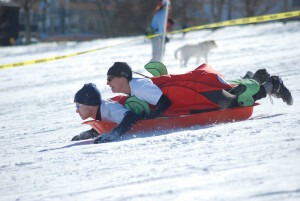 February 6th brings the SNOWMAN ADVENTURE RACE on East End Hill in Portland, 15 minutes south of us. 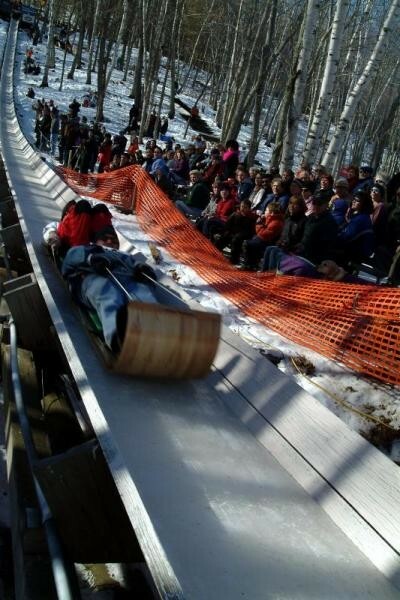 This sounds like a mini winter-biathlon! http://www.snowmanadventure.com Every piece begins with a run up East End hill and a return sled down with teammates sledding as one to the finish. This event is a 2 person relay, made up of a 4-1/2 mile bicycle race around the Back Cove, a 2-1/4 mile run around the East End and the Back Cove. There will be mens, women, co-ed and adult-kids teams as well. 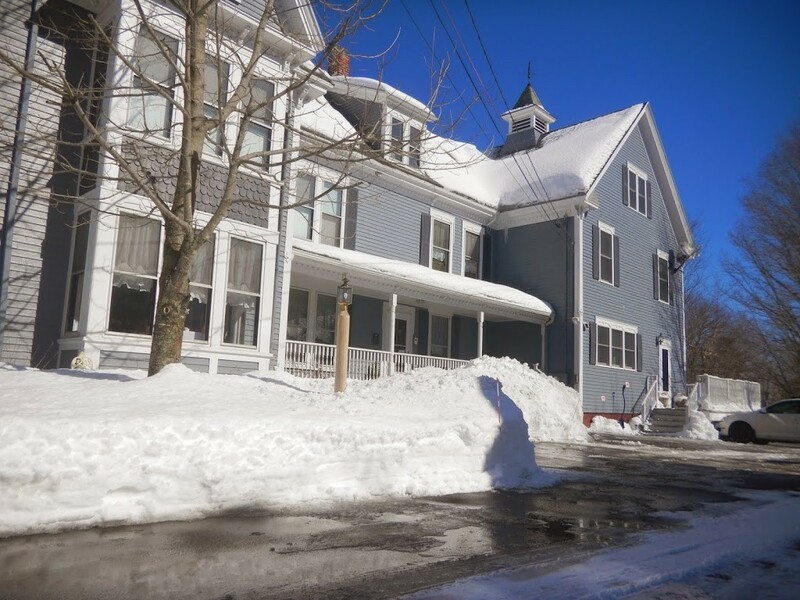 No matter your event choice, we have ample toboggan, sled, bike and snowshoe parking here at Brewster House, and are well equipped to soothe your body & mind post event, with a hot bath, ironed sheets and bottle of your favorite wine! 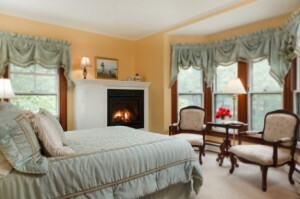 Call us at 207-865-4121, or online at www.brewsterhouse.com to reserve a fireplace room! Come and let us host you at the the best inn in Freeport!! I was going to title this blog “Value,” but I came to the conclusion it made more sense to simply cut to the chase! 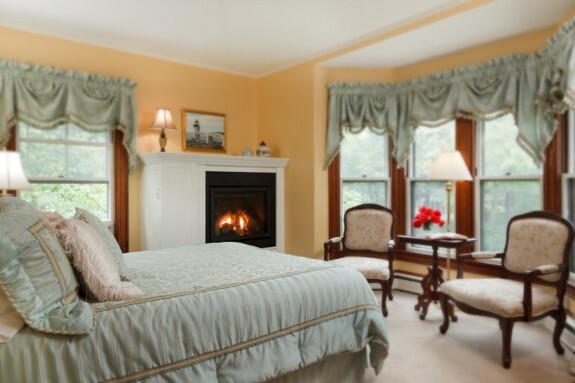 What we’re talking about here is described partially by buzz words like “elegant, relaxing, gourmet, built in details, fire-placed rooms, and attention to service.” Really, I want to paint you a picture of why Brewster House is where you will prefer to stay in Freeport! If you’re like most of us 21st century humans, your leisure time is very limited and so by definition, precious! When you finally get to escape the overbearing demands of work, family and home, the commute needs to disappear behind a relaxing, quiet experience, totally different in character from your everyday grind, the answer is a turnkey escape. You don’t want to be distracted by a less than immaculate room, a not-so-comfortable mattress, less than a bone warming shower, or a just so-so breakfast, amidst a herd of loud pajama clad, rude, cardboard waffle & Aunt Jemima addicts. What you had in mind were a cool glass of wine by a warm fire in a beautiful room, with a great bed and ironed sheets, your perfect pillow, plush robe and a breakfast you’ve been dreaming about…… Add to that your choice of white sand beaches, shopping, golf, museums, sailing or learning a new sport! In this perfect escape, your hosts would be there to help, but not intrusive, full of ideas (when asked) about where to eat, where to explore, what to do, what micro-breweries to visit, or who to go out on the water exploring with. The intimacy of a quiet, private breakfast, or the choice of chatting and laughing with other folks from a world you may or may not recognize, as your option. Our focus is totally on you and your FREE time. We want to help make this special moment in life the best it could possibly be! So, our eyes are on the issues that we would look for in a great place to stay; In summary, bed, bath and breakfast. 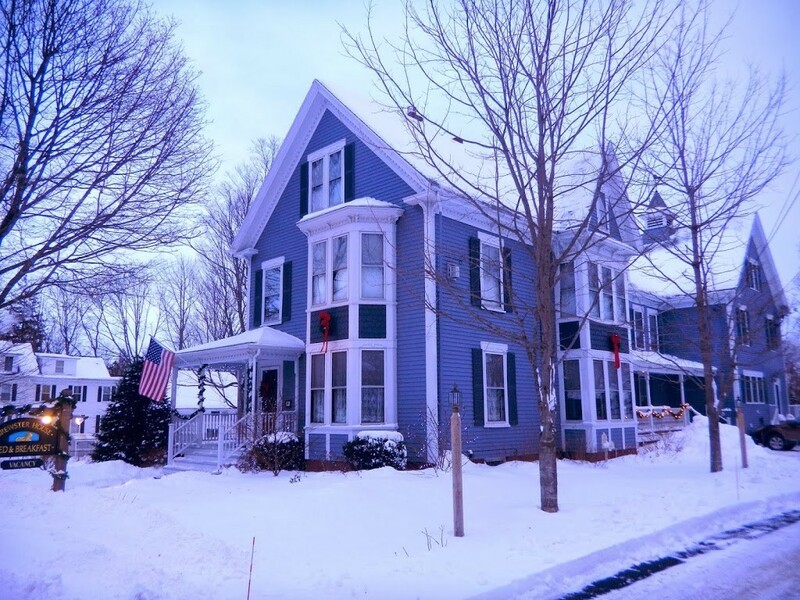 At Brewster House we also take pride in our “concierge services,” be that recommending great places to go, things to see, unique experiences to try https://brewsterhouse.com/2014/05/01/eight-awesome-mid-coast-maine-things-to-do/ or simply picking you up at the Amtrak station from the Downeaster. Our bathrooms are large (6 of 7 include full tubs), private and are furnished with the finest, most absorbent towels and fine toiletries. We recently upgraded our WiFi system to a true high-speed fiber-optic cable to help make your stay seamless, be it purely leisure, or if you’re stuck with including a bit of work on your escape. 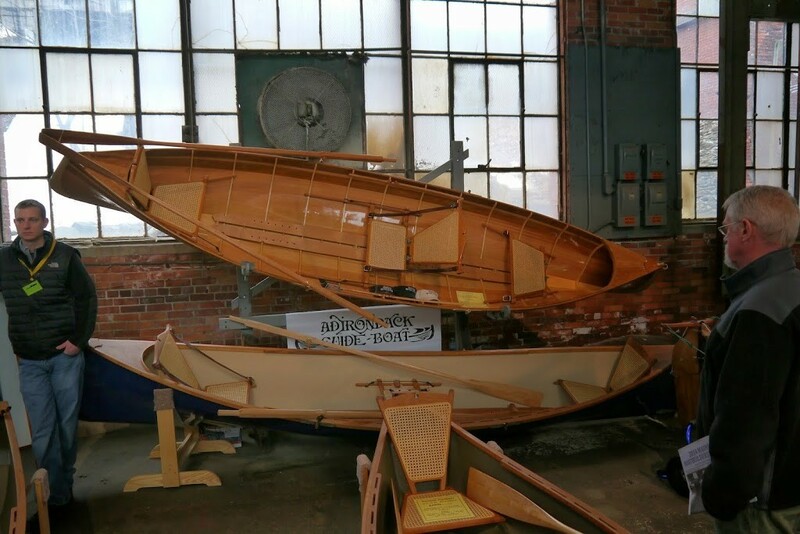 We’ve partnered with the best local restaurants, charter boat captains, museums and outdoor experiences, such as the LL Bean Outdoor Discovery Schools http://www.llbean.com/llb/ods/33?page=outdoor-discovery-schools. Mary is constantly adopting, inventing and embellishing in the kitchen, as spectacular breakfasts are truly her primary mission here. I’m always looking to add landscaping features, make sure all of our building systems work well and appear seamless, as well as for ways to bring real Maine to our rooms and public spaces. This year, we’ll be adding a Maine Funbook to the living room with ideas for things to do, see and eat, including provisions for our guests to add their own great recommendations. 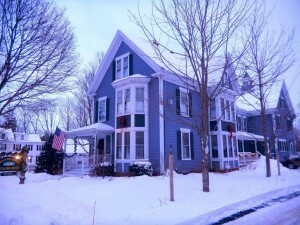 If VALUE is what you’re looking for in your Freeport adventure, you can’t do better than Brewster House Bed & Breakfast!! For those of us Mainers who love the outdoors, a significant transition marker every spring is the annual four day Reggae Fest at Sugarloaf Ski Resort. A fabulous outdoor event marking the coming of spring with the last days of spring skiing!! If you haven’t participated and you’re a lover of Reggae, skiing, boarding or the outdoors, GET HIP!! In other miscellaneous news, Amtrak is offering $10 one-way adult fares between Brunswick (one stop past Freeport) and Haverhill, MA on the Downeaster weekends of April 12 & 13, and May 17 & 18. COME UP AND SEE US!! We’ll even pick you up and drop you off at the Freeport Station (call to make arrangements)!! We’re already pretty busy for that second weekend, so don’t wait to make reservations! AmtrakDowneaster.com/deals is the link to Amtrak, but my instructions read you need to call Natalie Bogart at 207-780-1000 x108 to make arrangements. 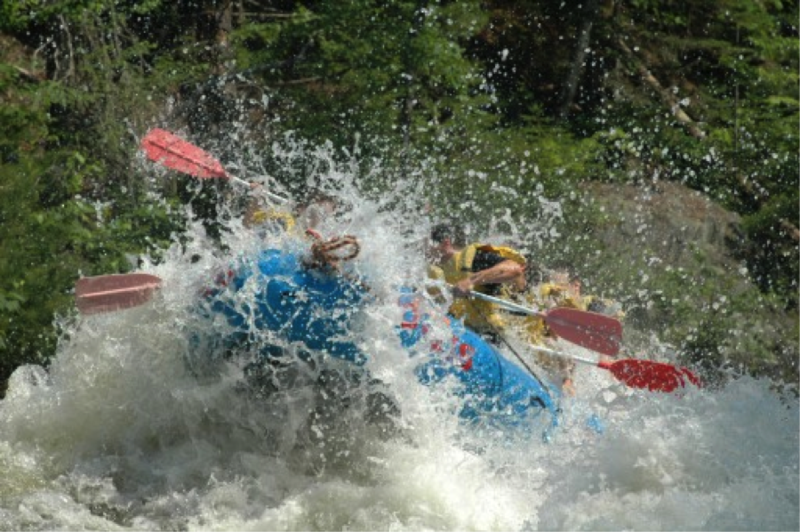 Ahhhh, WHITE WATER RAFTING, one premier wilderness Maine experience!! If you’ve not had one of these thrill rides, this year is the time! Rafting is a team event, with the in-raft guidance of your personal experienced guide, who is also your boss, calls out instructions and steers the raft. The three rivers we run in Maine, the Kennebec, Penobscot and Dead Rivers, are all dam controlled, and transit pristine wild, beautiful country. 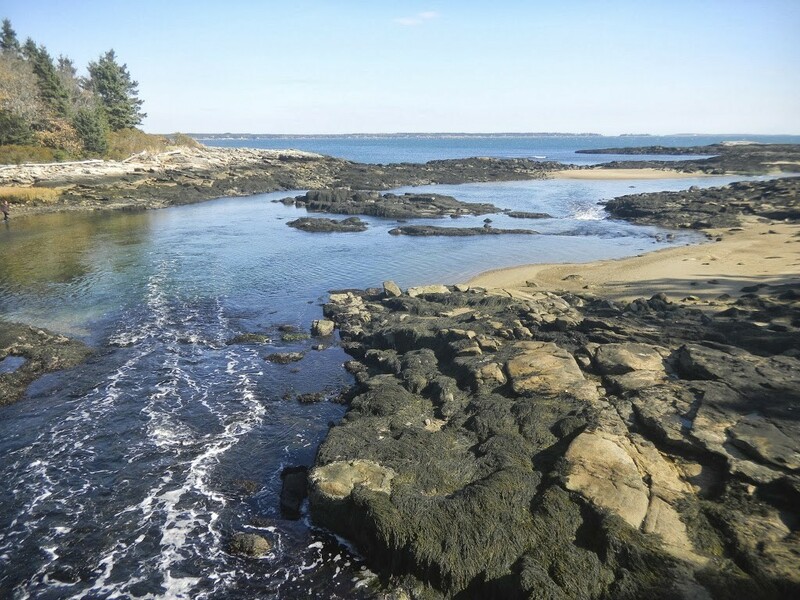 The first two are also the primary drainages for the state, the Kennebec enters the Gulf of Maine not far from here, and the mighty Penobscot carved out Penobscot Bay, an hour + east of here. All full trips run about 4 or 5 hours and cover about 15 miles of river. Many companies run shorter ½ trips too. 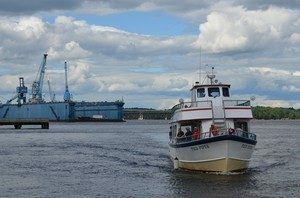 The Kennebec and Penobscot are run year round, depending on daily releases from hydro-elecrtic dams for the ride. The Dead is run a couple of weekends in the spring and fall, via flood control releases from Flagstaff Lake, east of Mt. Bigelow, across Carrabassett Valley from Sugarloaf, and is the only ride with consistent rapids the entire distance. The Penobscot run starts east of Moosehead Lake (just south of Baxter State Park), and as the river includes class 4 and 5 rapids, is the wildest ride of the three. Out family has rafted all but the Dead multiple times and will agree the Penobscot is the most intimidating, although many of it’s later stretches laze bucolically under the majestic Mt. Katahdin. Most of the rafting companies that run the Kennebec are quartered in The Forks on that River, and you get in below the dam at the West end of Indian Pond, which empties Moosehead Lake (which at 45 miles long is one big a– lake!). YOU WILL GET WET, so a wet-suit rental is a good idea on all but the warmest days, as the water that emerges from the depths of these big damned lakes IS COLD! All rafting companies have them available, as well as including helmets and other safety equipment. Rides begin with a safety briefing and practicing your teams response to your raft Captains’ commands. Halfway down any trip, you pull over for a scrumptious grilled lunch, hot drinks and of course, the brews flow after any trip, as you watch videos of yourselves negotiating the rapids. It’s not easy to come up with new & dynamic subject matter when it’s so (relatively) quiet and, unless you’re skiing (skating, curling, etc. ), outside time tends to be limited. We did have a busy Valentines Day weekend, with great guests though, and we enjoyed that! We are involved in a new collaboration that will likely be THE great travel tool for all of you with mobile phones. I’m going to guess that at least 40% of the guests I spoke to here since May 2013 used their phone at some point in the travel process here! Of course, those numbers will explode in the next few years. time off. To that end, we recently signed up to be a partner in a mobile travel web-site called GO TRIPPIN www.go-trippin.com. GO-TRIPPIN is an affiliate of Google’s new Niantic Labs FIELD TRIP site. Google is betting that mobile phone apps are already moving to dominate how folks find eating, playing, drinking, historic and other fun and interesting places. Brewster House is the exclusive correspondent for Freeport, and as such, will be offering monthly articles and photos about THE BEST PLACES TO BE AROUND FREEPORT, whether it means eating, boating, beaching, shopping, etc.! Do yourself a favor and add this app to your phone (it’s free)! www.fieldtripper.com. It is amazing in it’s growing depth and complexity! Play with it, and be aware it can be as proactive, and as intrusive, or in the background and as limited as you choose, but I guaranty this will be the best tool you will see for a long time to enjoy wherever you may be! If you dare, leave Field Trip running attached to Siri and drive through an interesting area, , and you’ll start to understand what I’m presenting here! Our first piece will be for Azure Café, our local favorite place to eat and drink. Since the pieces we write cannot be colored with our prejudices, I will reserve that for a monthly blog post, so keep checking in to share in the best that Freeport has to offer! We will be sharing a new recipe monthly in our blog, so keep an eye out for it. My next blog is going to have you wetting yourselves with my latest “When I’m 64” misadventure! Here’s a photo of our snowpack at it’s maximum last week! 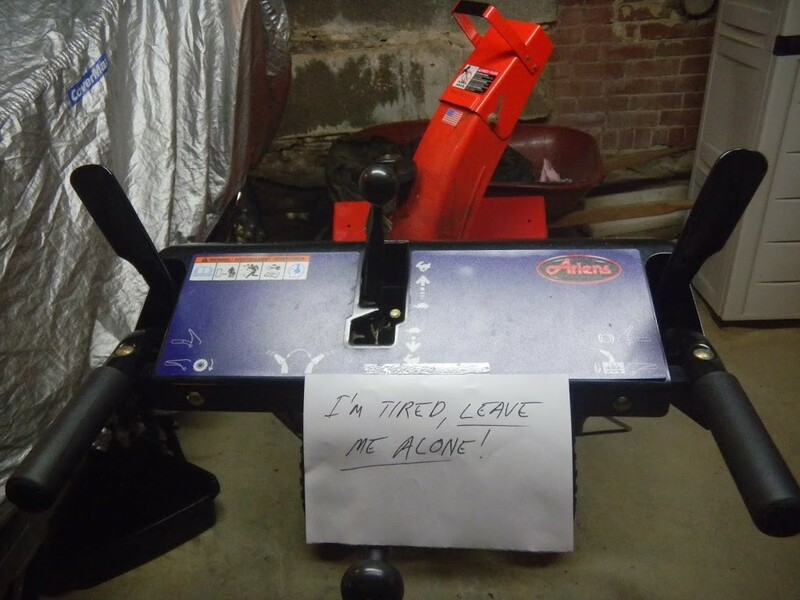 I think I cleared the property FOUR TIMES in the last week. Love to ski on it, but moving it……..
At least the sun is starting to feel like the sun when it’s out! 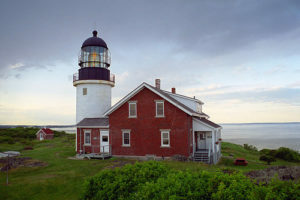 Next time I write, the Cape Neddick Room will be brandy new! Ah, Wow and Thank God for another Christmas! I saw a very melancholy Facebook post from an old friend who unintentionally reminded me how lucky the Giles are, and after our wonderful family, that would include owning Brewster House and having the privilege of knowing all of you! 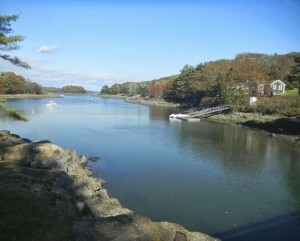 What has been exciting and powerful is the early winter, which I understand is not unique to Maine! We got about 20” of snow here between last Sunday and Tuesday, and Tuesday AM was -3 degrees Fahrenheit!! I’ve been skiing a couple of times already, and the last time was on 14” of new natural snow – VERY NICE! There were some great photo ops, but to be honest, I just couldn’t face removing my fingers from my mittens long enough to take a picture, sorry! Brewster House looked gorgeous all dressed up in snow and lights, and our guests have really enjoyed hanging by the fireplace in the living room. Seeing our guests relaxing there truly makes us smile, as the point of refurnishing it was to make the salon a place you would feel at home in….having a glass of wine, reading the paper, playing cards with friends, NICE!!! Poor Buddy’s been not feeling well for a month, with digestive/ eating problems. Scary to watch your dog lose ¼ of his weight in a couple of weeks! He seems to be coming around, we’re working at it as we really do love our dog! 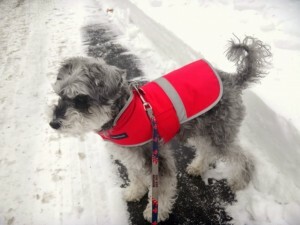 As you can see, he’s still dashing in his Christmas coat, Red Sox leash & collar! Don’t for get your outdoor winter options here that I alluded to in my Early Wintah Blog for the January Winter Carnival Weekend & Flavors of Freeport in February. Also, LL Bean offers regular “learn to” cross country ski, and snowshoe adventures at their Outdoor Discovery School http://www.llbean.com/llb/shop/1000001692. This Winter is certainly shaping up to be a fine one for playing in the snow, and believe it or not, we’re getting a little busy in January!! Scott & Ruth recognized their frequent guests with a discount. We think that’s the right thing to do, but where we don’t necessarily know you all as well, will formalize a program so when you book, we will automatically know you as “Friends of Brewster!” So, visit us four times, and from the fifth visit on, we will “take special care of you!” Of course, this discount will be outside of special discount promtions such as our “Winter Wonderland” promotion for January. Lastly, if you’re not on the Newsletter list, you might’ve missed my mention of our success and interest in Reconnect Weekends. We can offer you a fabulous price if you can commit to renting all 7 rooms from us on any 2 day weekend that’s available in January, March, April or May. We need a leader of a group to commit to a full weekend for 7 rooms, & we’ll ask for a 50% deposit up front. 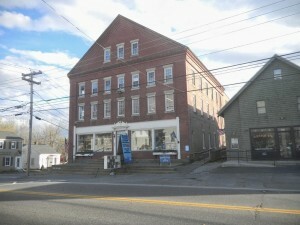 In return, you own Brewster House for a weekend for just over 50% of the per room rack rates!! Of course, we’ll serve the same elegant breakfasts, and can offer additional wine, or breakfast cocktails and our dining and living rooms for your pleasure. Call for details!! Thanks for being so kind and forgiving in our first half year of learning to be inn-keepers, and Merry Christmas to all, and to all a Good Night!! You know, when I wrote that title, I was only thinking of my stunning motorcycle adventure this last Monday, but it certainly applies equally to our first 6 months here! Mary, Siobhan, Ivy and I finally gave ourselves 5 days off this week after non-stop inn-keeping since the end of May. Of course, Mary and I spent most of that time bettering our digs here in the carriage house, but we did squeeze in a little well deserved “R & R,” as well as procuring a few dashing (old) new furnishing additions for your visiting pleasure. On Monday, Bella (my black Italian motorcycle) and I headed north-east on Route 1 for some exploration and adventure. I brought the good ole Nikon point and shoot to contribute to a book we will start this Winter on “Adventures Available” from Freeport, for your perusal and pleasure on visiting with us. Well, it was nearing 56 degrees on my departure north, so leathers and ski underwear were called for. With no particular agenda, we decided to cut south on rt. 127 towards Georgetown Island and Reid State Park as soon as we crossed over the Kennebec River. As we started south along the Kennebec, the view of the first of the stealthy new USS Zumwalt destroyer class at the bath Ironworks was very impressive in a Star Wars sort of way. Check it out, http://www.csmonitor.com/USA/USA-Update/2013/1030/Navy-new-destroyer-USS-Zumwalt-is-bigger-badder-than-any-other-destroyer-video. After several miles, the protected waters of Montsweag Bay started to appear between breaks in the spruce trees to my left. Wow, what a place to have a camp or a home! After 5 more miles, a state sign for Reid State Park appeared to my right. What a lovely and diverse jem of nature!! 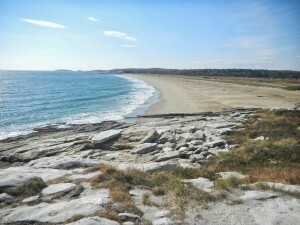 A long straight beach backed by an ocean meadow, and lovely rocky inlet to an interior bog. A bus full of school kids in boots exploring the shallows, doesn’t even notice Bella. Gotta go there again with Mary and Siobhan! Back north on 127, we stopped to explore this sweet little cove, and take a couple of photos. 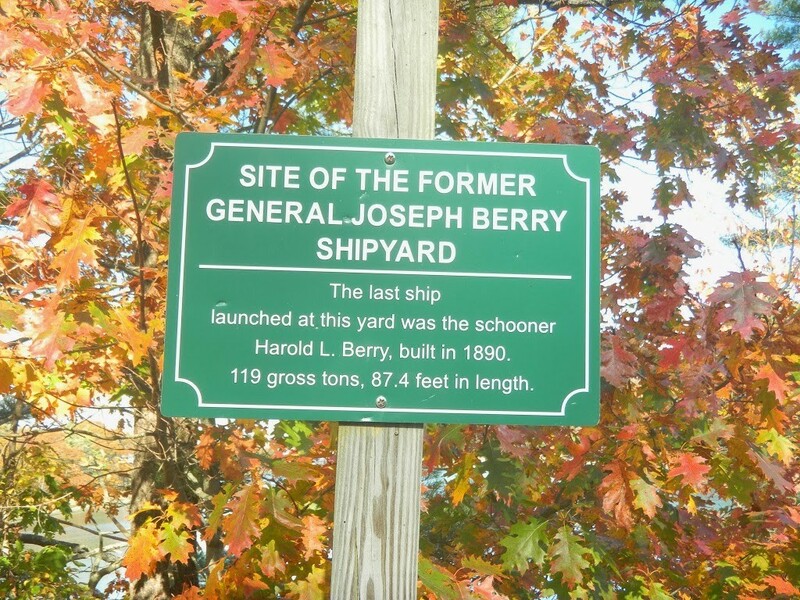 They used to build schooners here in the 1800’s. Fuzz your eyes up a bit and it’s easy to imagine the sounds of cutting and shaping wood and the sounds and smells of horses and working forges! Back to Rt. 1, not a thrilling drive in the best of conditions, even less so with squally rain and gusting winds! East to lunch via Wiscasset and Newcastle, then to Thomaston, just west of Penobscot Bay….to the Maine State Prison Store. I think legend has it that the prison that used to surround the rear lot behind the rear of the store was the same prison that was a model for “The Green Mile,” the Stephen King story. The store is deceptively large inside and includes everything in the way of beautifully crafted woodshop craft from wood trivets to large bookshelves, ships, end tables, great toys, chess boards and on!! I think we’re going back for a nice ash coat peg-board for our house. As I go to leave and am getting ready to ride, my helmet gets blown off of the seat and rolls across the parking lot. WICKED P—–!! If you don’t know, that’s a particular New England expression of disgust….. 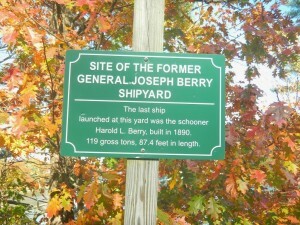 Drove back north through Jefferson, then back west to Gardiner and south along the Kennebec on rt. 24 to home. 165 miles from where I started, I’m approaching home and it’s 47 degrees, and the sun is low on the horizon!! Wish you were here, this was onefine Maine adventure! !